So before you take a band of candy beggers around the neighborhood or stand guard over the front door while your doorbell gets murdered all evening long, start the celebration early with a fun NEW Halloween tradition to be celebrated by all on your street! We want YOU to get BOOOOZED this Halloween! 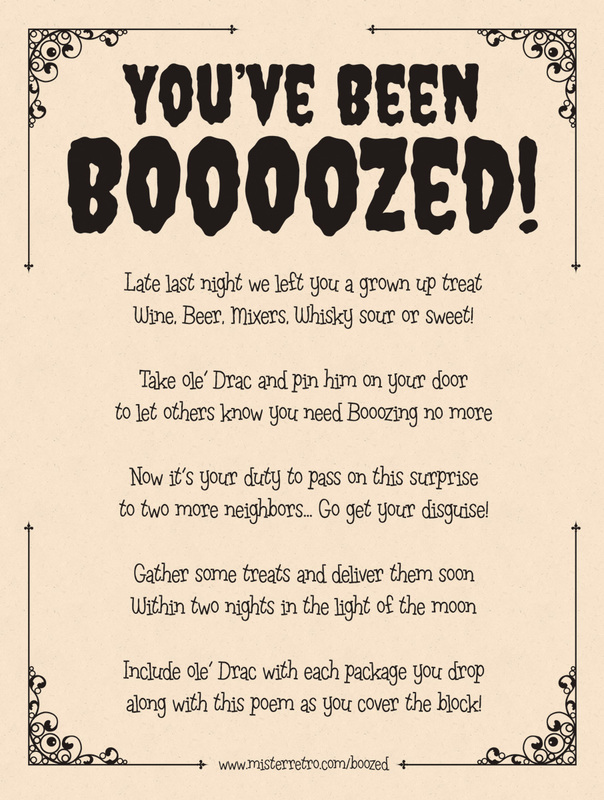 Our pal the talented Derek Yaniger has created these fun FREE printable downloadable PDFs you can print off and follow to start your own neighborhood Boooozing tradition! It's like getting Boo'd but for grown ups and it'll put everybody in the holiday spirts . . . err, I mean spirit! 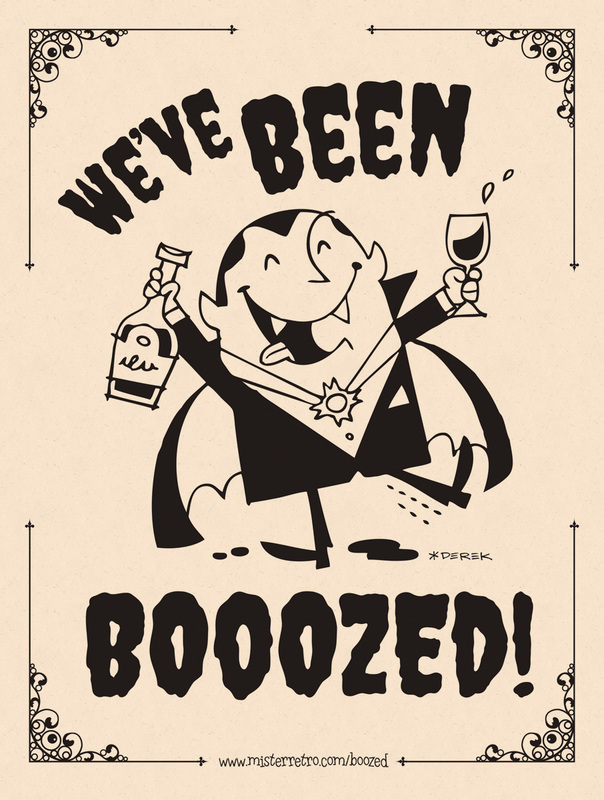 CLICK HERE TO DOWNLOAD THE PDFS & GET BOOZED THIS HALLOWEEN!